It has been hot here in Dorset over the last few months. Well, it is summer after all. Of course it hasn't always being iridescent rays beaming down. However it has been hot, muggy, close and all round general ice cream weather. 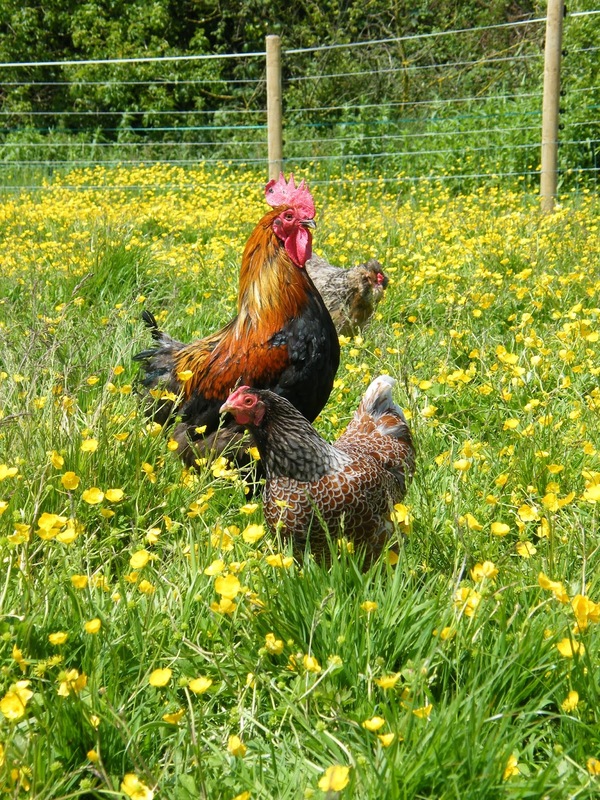 As I write this however the sun is beaming down on myself and the chickens, ducks and geese in the Flyte so Fancy poultry paddock (laptops really are a wonderful invention) and while I enjoy a cold glass of lemonade to keep refreshed, my feathered friends are not so lucky. Of course the ducks and geese just belly-flop onto the pond when they're feeling a bit warm, leaving the poor hens feeling the heat. 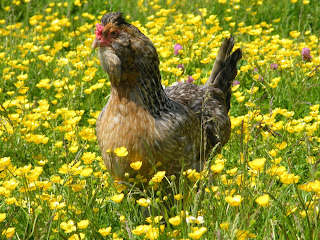 But this weeks blog is some top tips for helping your chickens through these hot summer months. Shade, make sure your hens have plenty of it. Hens don't sweat like we do so they need lots of cool, covered shaded areas to help keep themselves cool during sunny and hot days. The Chicken Shelter, traditionally viewed as a way to keep the rain off our hens heads, also provides the most excellent shaded spot for a chicken to keep refreshed. Water, make sure that your hens have plenty of fresh water to drink. A chicken will on average on a day drink somewhere between 200ml to 300ml of water (approx 1/2 a pint) a day. Factor in a hot sunny day and you can see soon your drinker emptying, leaving your poultry parched. A nice big poultry drinker with plenty of fresh water will keep your girls happy. Also try to keep your drinker in the shade to keep water cool and to prevent algae build up. Double check your Hen House for Red Mite. 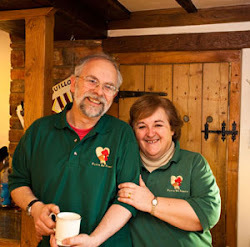 Red Mite love hot damp weather (and considering the British summer involves a certain amount of rain) the summer months can see a red mite problem arise in your coop, as if from nowhere. Giving the coop a thorough clean with a slightly stronger red mite eradicator, like the Net-Tex Total Mite Kill, will help prevent the problem from ever occurring. Make sure that your hens have somewhere for dustbathing. Either set them up a dustbath or if they have a favourite place encourage them to use it. Lice can be a problem during slightly hotter weather and will be cleaned from feathers during a dustbath, a few handfuls of diatom added into the dustbath will help clean their feathers while they bathe. During the hot weather, a handful of greens (not too much mind you) can be a great addition to your birds diet, a nice tasty cabbage leaf rich in iron can for example give a great boost to your girls. Be careful not to over feed them on greens though. 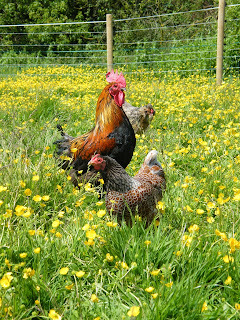 Keeping hens happy in hot weather is a relatively simple and easy to achieve with a little care and extra attention. If you have your own top tip for helping chickens through hot weather then please share it with us in the comments below or if you have any questions, phone us on 01300 345 229 to speak to a member of the Flyte so Fancy team.